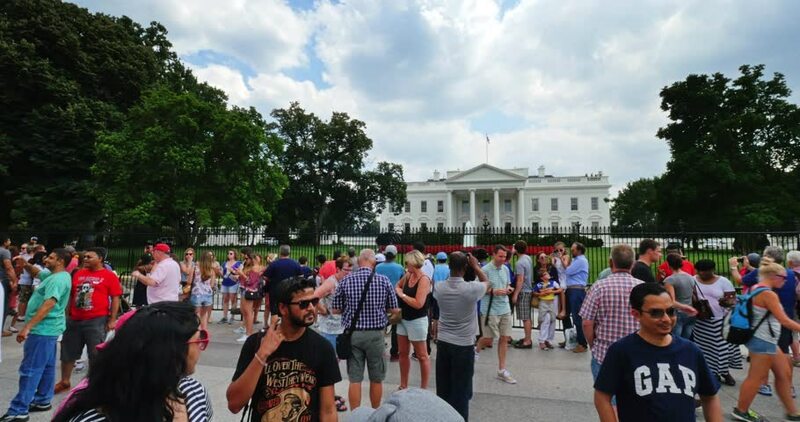 WASHINGTON, D.C. - Circa July, 2015 - Tourists and visitors crowd around the gates in front of the White House on Pennsylvania Avenue in Washington, D.C.
4k00:27WASHINGTON, DC - JUNE 8: Busy sidewalk of White House with tourists coming to visit in Washington, DC on June 8, 2016.
hd00:18Perm, Russia, July 23th park Gorkogo. Crowd of kids and people play and walk in the urban entertainment park. 4k00:07Windsor, United Kingdom - May 19, 2018: View from Goswell Rd road to the Windsor castle and people walking to Royal Wedding and enjoying park atmosphere. ProRes HQ codec. hd00:16WASHINGTON, DC - CIRCA 2011: The White House. 4k00:12UKRAINE, DNEPROPETROVSK, SEPTEMBER 1, 2015: Young children with flowers at first day of school. Beginning of school year in Ukraine, September 1, 2015 in Dnepropetrovsk, Ukraine. hd00:12DUISBURG, GERMANY - 11.09.2016 Night shot of 14,15 meters is the highest sandcastle in the world in the Landschaftspark Duisburg-Nord.